For the company eShelter two 40ft high cube containers were converted into a restaurant. The young company, which concentrates on providing people in office buildings with healthy food, has developed various solutions for it, like modern vending machines and a deli concept. In the RESTAURANT CONTAINERS, there is a small bar for the sale of snacks and a vending machine as well as enough space for seating. 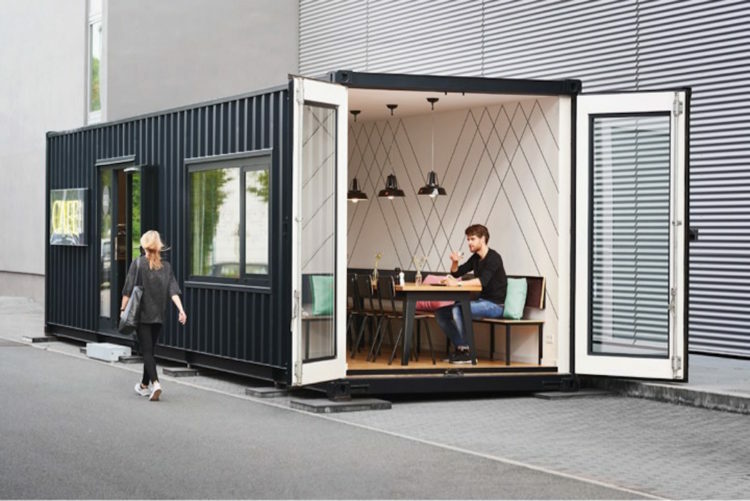 The RESTAURANT CONTAINERS are now located in Frankfurt and Rüsselsheim on the company premises of the customer.